(AP) WASHINGTON - A course for U.S. military officers has been teaching that America's enemy is Islam in general, not just terrorists, and suggesting that the country might ultimately have to obliterate the Islamic holy cities of Mecca and Medina without regard for civilian deaths, following World War II precedents of the nuclear attack on Hiroshima or the allied firebombing of Dresden. A summary of Dooley's military service record provided by Army Human Resources Command at Fort Knox, Kentucky, shows that he was commissioned as a second lieutenant upon graduation from the U.S. Military Academy at West Point in May 1994. He has served overseas tours in Germany, Bosnia, Kuwait and Iraq. He has numerous awards including a Bronze Star Medal, the fourth-highest military award for bravery, heroism or meritorious service. In what he termed a model for a campaign to force a transformation of Islam, Dooley called for "a direct ideological and philosophical confrontation with Islam," with the presumption that Islam is an ideology rather than just a religion. He further asserted that Islam has already declared war on the West, and the U.S. specifically. "It is therefore illogical" to continue with the current U.S. strategy, which Dooley said presumes there is a way of finding common ground with Islamic religious leaders without "waging near 'total war,'" he wrote. Though Dooley has been teaching at the college since August 2010, it was unclear when he took on that particular class, called "Perspectives on Islam and Islamic Radicalism." - "They hate everything you stand for and will never coexist with you, unless you submit." - "Islam as it currently defines itself is an ideology rather than solely a religion with the normally associated protections we afford such beliefs." - "It is therefore time for the United States to make our true intentions clear. This barbaric ideology will no longer be tolerated. Islam must change or we will facilitate its self-destruction." - "The United States has come to accept that radical 'true Islam' is both a political and military enemy to free people throughout the world." - Possible outcomes of an anti-Islam campaign: "Saudi Arabia threatened with starvation, Mecca and Medina destroyed, Islam reduced to cult status." 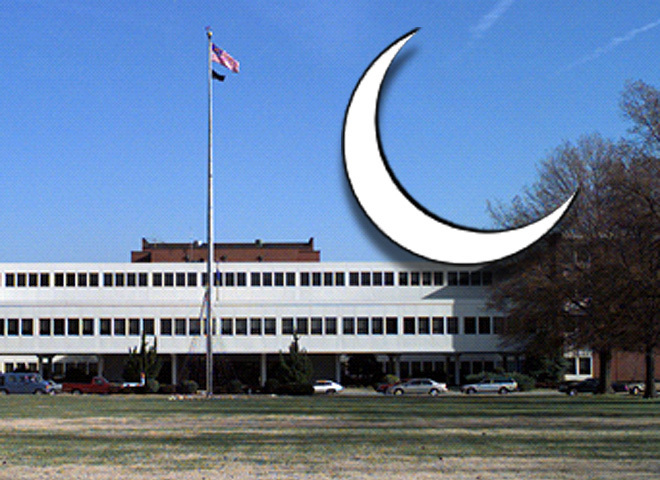 The joint staff suspended the course after it had received a student complaint, and within days Dempsey ordered all service branches to review their training to ensure other courses do not use anti-Islamic material. "It was just totally objectionable, against our values, and it wasn't academically sound," Dempsey said when asked about the matter at a Pentagon news conference. "This wasn't about ... pushing back on liberal thought; this was objectionable, academically irresponsible." In his July 2011 presentation on a "counterjihad," Dooley asserted that the rise of what he called a "military Islam/Islamist resurgence" compels the United States to consider extreme measures, "unconstrained by fears of political incorrectness." He described his purpose as generating "dynamic discussion and thought," while noting that his ideas and proposals are not official U.S. government policy and cannot be found in any current official Defense Department documents. A Pentagon inquiry is seeking to determine whether someone above the professor's level is supposed to approve course materials and whether that approval process was followed in this case, said Col. Dave Lapan, spokesman for Dempsey. That is significant because ever since the terrorist attacks of Sept. 11, 2001, the FBI has stressed the importance of working with leaders in the Muslim community as an important part of the battle against terror. The FBI review began last September after Wired.com reported that the FBI had discontinued a lecture in which the instructor told agent trainees in Virginia that the more devout a Muslim is, the more likely he is to be violent.